A few weeks ago the hubby and I had a squabble. Yes, it happens. Anyways, he came home the next day and decided to cross something off the honey-do list (months overdue) to get back in my good graces. 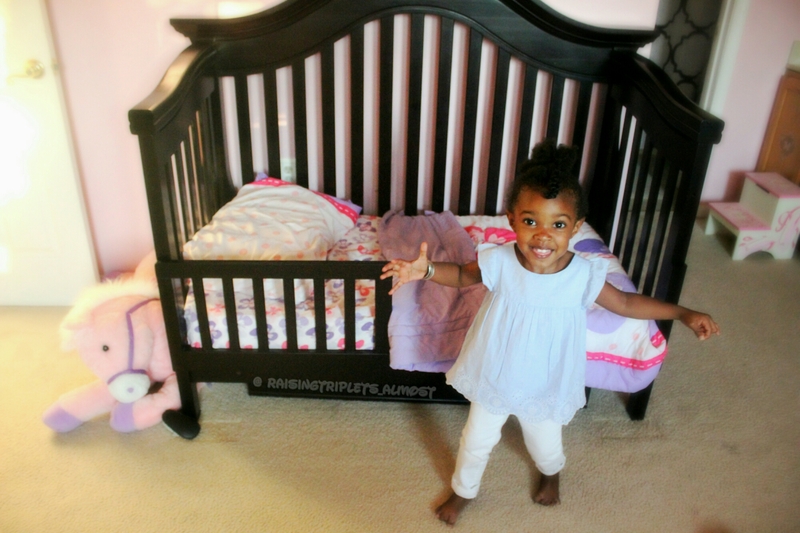 I was in the twins’ room doing a photoshoot when he called me and to my surprise he converted her crib to a day bed. I should have been excited, but I wasn’t. I can have a flare for the dramatic. Who me? Say it ain’t so. In my mind, I saw us moving her to our bed after she fell asleep then breaking down her crib and having balloons everywhere. She heard me talking to her dad and quickly came to check it out. She was so excited. She couldn’t contain it. SHE JUMPED FOR JOY. She was happy. In that moment I realized it wasn’t about me. She was happy and that’s all that mattered. 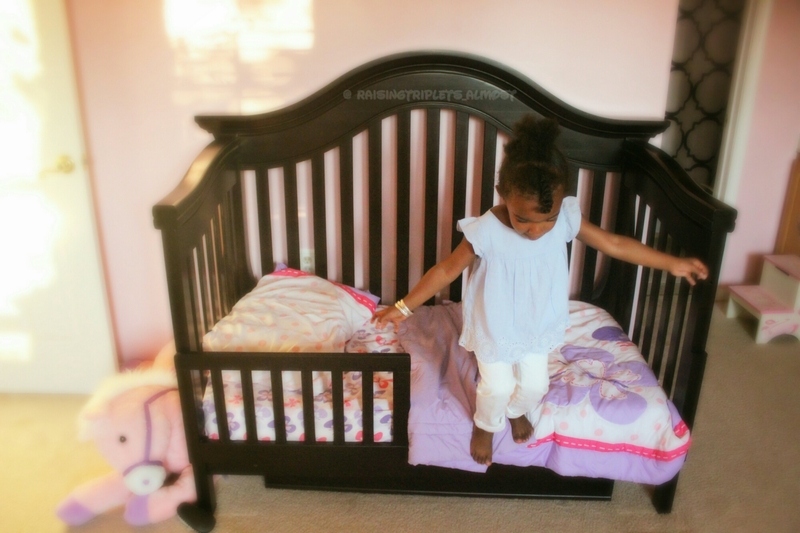 Having her roll big girl style has provided much help for me in the mornings. She wakes up, uses the potty, brushes her teeth, then comes to find us. I love it when she says, “I woke up, mom, what are we doing today?” She craves adventures just as much as mommy and I absolutely love it! I can’t wait until she can make the bed and fold her blanket. Baby steps I know. Baby steps. ← What A Wonderful Day, Mom!